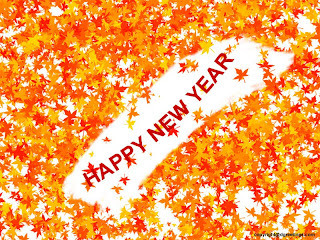 Wish you and your family a very very happy and a successful new year ahead. Happiness deep down within. Serenity with each sunrise. 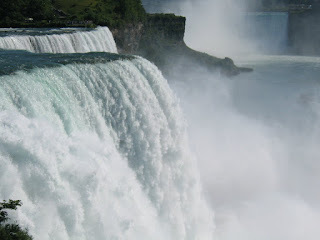 Success in each facet of your life. Family beside you. Close and caring friends. Health, inside you. Love that never ends. 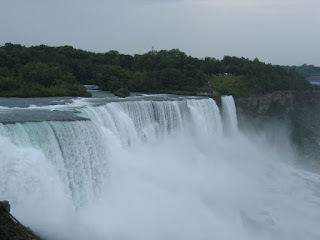 Special memories of all the yesterdays. A bright today with much to be thankful for. A path that leads to beautiful tomorrows. Dreams that do their best to come true. Appreciation of all the wonderful things about you. 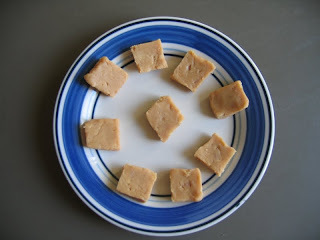 This cake or fudge or whatever we can name it as, is absolutely yummy and very quick and easy to make. I had about half a tin of condensed milk which I wanted to finish. This recipe came handy. 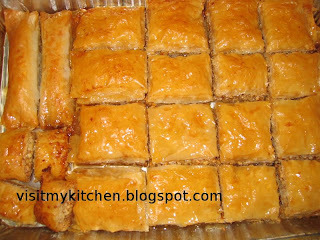 I tried it with about 200 gms of condensed milk and it just took a flat 15 mins to make. Originally its the MW Chocolate fudge recipe from here. I made it on stove top, I wanted it more milky so I kind of omitted Cocoa powder in this, just sprinkled a little bit, for a touch of cocoa. Combine all ingredients in a vessel and stir without lumps. Micro Hi uncovered for 9-10 mts (Time varies for each MW) stirring twice in between (or) cook on stove top on a medium flame till the mass thickens and leaves the sides and come out without sticking. A little mixture dropped in water should be able to be rolled very well. Remove , Set aside for half an hour stirring at intervals. 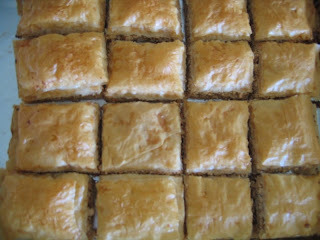 Empty it on a greased plate and cut into small squares. 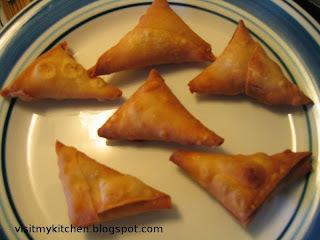 Hot Hot samosas..Spicy and hot. Perfect tea time snack. 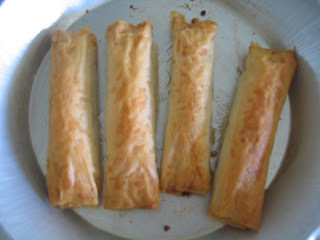 I followed the onion samosa recipe from here. It turned out excellent. Its a sure hit. It takes little time to make the outer cover, and making the shapes, but I made just a dozen of them so it was pretty fine and tasting absolutely awesome. The only variation was that, I fried the onions a bit and added spice powders to it, saute for couple of mins and then used them as filling. I also tried the way given in the actual recipe, using raw onions. Both turned out yummy and delicious. 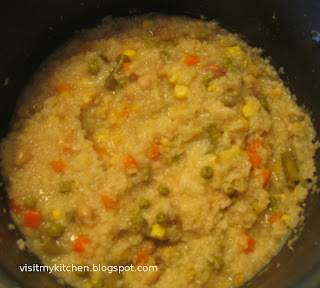 This is the first time I am making Celery thogayal and I am satisfied that it is indeed a great way of taking celery. 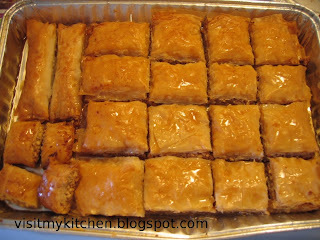 I experimented with this recipe, and it turned out to be good. Wash well and chop celery and coriander. In a spoon of oil, saute them for couple of minutes. Take this in blender, add red chilli, coconut, tamarind pulp, and salt and grind fine. Heat the pan, add tablespoon of oil, temper mustard, add the grounded paste and fry for about 10-12 minutes till the mass thickens and leaves the oil. It was tasting great with Rice, I guess it will go well with Idly/Dosas too. 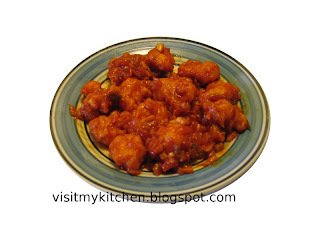 Gobi Manchurian - Who doesnt love it. I got this super good recipe from my friend Jahnavi. I do not have soy sauce with me. And I had this feeling, that without soy sauce, Gobi manchurian cannot be Gobi manchurian. But I was so wrong. I dare tried this recipe without soy sauce or chilli sauce or vinegar and such stuff. Believe me, no one ever found any difference. It was gobbled up in minutes. Soak the florets for about 10 mins in hot water (With little salt added to it). 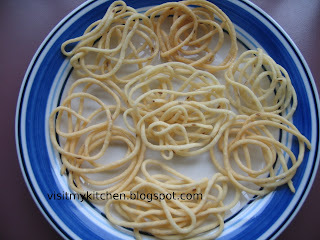 Mix all purpose flour, corn flour, ginger garlic paste, chilli powder, salt, turmeric and make a thick paste. Dry the florets and add into the batter. Deep fry them and set aside. Mix 1 sp red chilli powder in little water. This is to avoid adding raw chilli powder to the sauce. 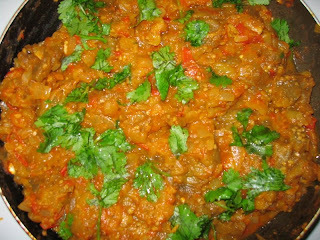 In a hot tava, add little oil, fry onions,garlic,ginger,green chilli well till onion appears nice brown and little crisp. Add tomato ketchup, redchilli paste, salt. Add corriander leaves and lime juice. Let it simmer for few minutes. 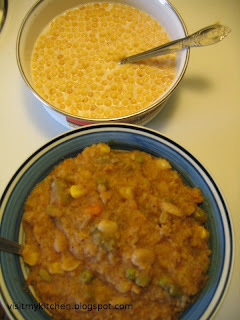 If the sauce doesnt appear thick, add a spoon of corn flour mixed in cold water. Once done, add the deep fried florets and mix well till they all get coated in sauce. Let it boil on low flame to absorb the sauce. Switch off. Yes ! It is potato, not sweet potato. When I first saw about Potato Halwa I had my own apprehensions about it and never gave it a try, but few days back, I was talking with my cousin and she encouraged me to try it and said it will taste awesome. Thanks Brindha ! I was so surprised with the results, it was truly awesome. And a quick dish too. You will not feel the potato taste at all. 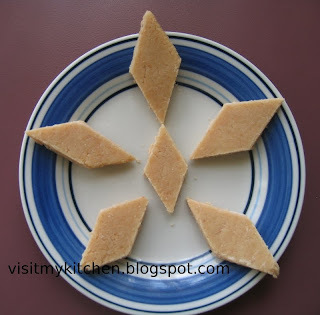 I would have loved to add a bit of almond essence to it, as it was already fooling me for Badam Halwa. But I did not have it handy. As I was in a hurry, I preferred Slightly Cooking, mashing the potatoes to Grating and Sauteing to cook directly, but would like to try that way once. I pressure cooked 2 big potatoes for one whistle. In a Low flame, add 1 Tbsp of Ghee, add mashed potatoes and fry well. Keep frying this very well for ten to fifteen minutes. More this is done, less the potato taste. Keep adding Ghee little by little when the mass seems to stick to the bottom. Add the milk and sugar, continue to saute. 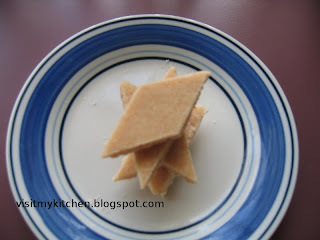 In about 10-15 minutes, the whole mass will thicken to halwa consistency . Top it with ghee roasted cashews,raisins. Let it set for a while. 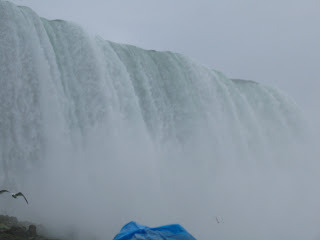 Was on a trip to Niagara falls, NY. Needless to say I was spellbound by the beauty of it..
Paneer, the most common Indian cheese is a protein rich food. It is made by curdling boiled milk by lemon juice and from there on, the making of paneer differs from state to state /for each variety of food. The one I made is the common way of paneer-making, ideal for dishes like Paneer tikka, Kadai Paneer, Palak Paneer and Paneer Butter masala. 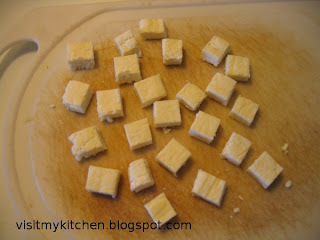 Fresh made paneer will sure give a great taste to the dish. Once milk is boiled, set stove on low and add half Table spoon of lemon juice , stir. If you dont see the milk seperating into solid lumps(cheese) and a thin greenish liquid (whey) , you can add some more lemon juice. Wait till milk curdles, stir till the whole of the milk is sepearted into cheese and whey. This might take a couple of minutes. Strain the cheese from the whey. Use a clean cloth / muslin cloth / cheese cloth, if nothing at all is available you can try using a thick paper tissue as well. Hung the cheese tied in muslin cloth for about an hour. 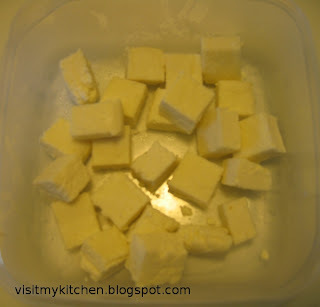 (If paper tissue is used, Strain the liquid out of cheese and change the paper tissue couple of times to take out maximum moisture before it is set for an hour, else paper becomes very very soggy and sticks to paneer). Wrap the paneer in clean cloth/tissue, carefully place a heavy weight on top of it. It can be a pan fully filled with water. Set it for minimum 3-4 hours. Once set, it could be cut into cubes or required shape and used. Else refrigerate. Chayote also known as chow chow or Bangalore Kathirikkai is considered a squash variety. It will be light green in color and pear shaped. I generally peel the skin and use. 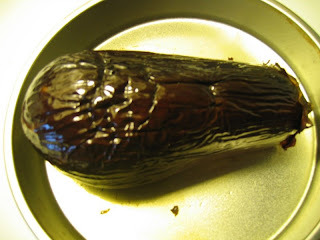 The cooked chayote will taste close to Bottle Guard. I love chayote when its cooked soft and tender. It is a very comforting food. 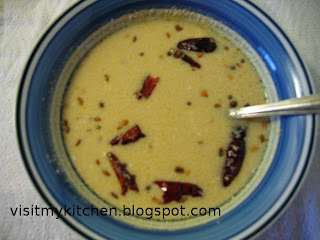 This kootu is mild and pleasing to our taste buds and very apt when you want to give spicy curries a rest. 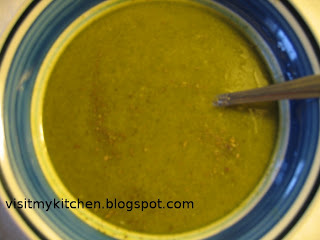 The combo of coconut+cumin+green chilli gives a wonderful taste. 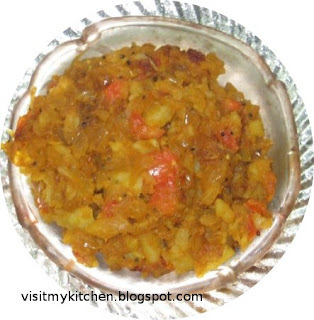 This goes as a perfect side dish for Rotis. 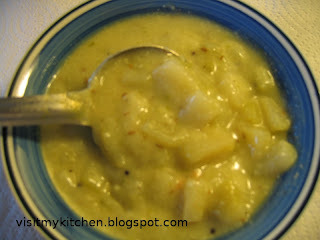 Many people cook this kootu with moong dal, But I had gotten used to cooking it as a plain gravy with the grounded spices. Wash, peel skin and chop chayote to small cubes. Grind coconut, chilli, cumin and roasted gram with little water. Pressure cook with little water. (Can cook it with moong dal). 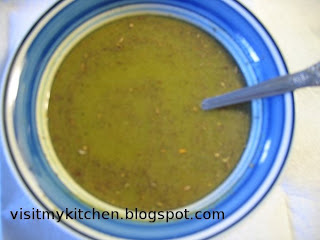 Add ground paste with cooked chayote, add salt, cook for 5-6 minutes. 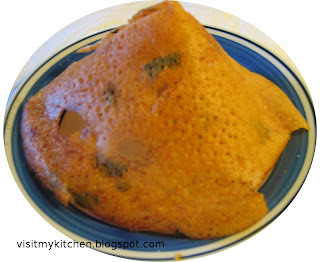 If it is not thick enough, add 1 sp of rice flour mixed in few tablespoons of water. Cook for few mins till done. 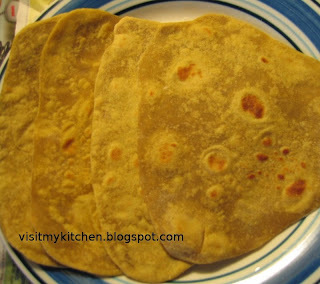 Serve hot with Rotis. 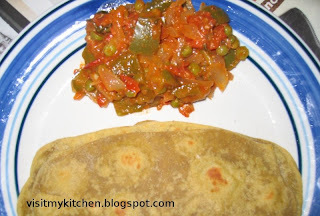 Colorful subzi with Avocado Rotis.. In 1 Tbsp of butter/oil, saute the onions till translucent. Add ginger garlic paste and fry for a minute. Add chopped tomatoes , saute for few minutes. Add the spice powders, give a good mix and add capsicum and green peas. Cover and cook, add salt when vegetables are partly cooked. 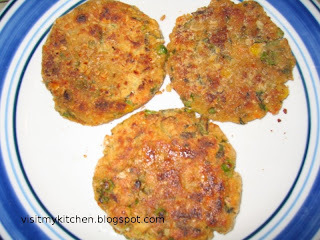 I was speaking with my cousin this morning and she passed on a recipe for Oats Cutlet, she tried it from here. I was excited and all set to try it today and it was amazing. I made it hot n spicy and it was over within minutes. Yummy it was ! Made very few variations. Bread crumbs - To roll the cutlet. Saute onions slightly add to boiled veggies of your choice. (Potato very much helps the binding), Add all the other ingredients to thick dough. add minimum water if required. 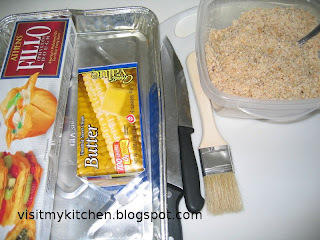 Make patties, Roll in bread crumbs and shallow fry. Had some issues with my previous template..Used to love it :( but consistently throwing some errors. So switched to yet another simple nice template. 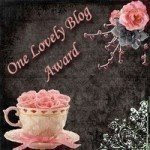 Do share your comments/feedback about it. Yet another One-Dish-Meal post for today.Weekend I was feeling too lazy to cook an elaborate lunch, Dal,Sambar,Curry so ended up doing this simple satisfying delicious Bisibela bath. It was ready in 30 mins, a whole some meal . This does not take more than 1 sp oil that is taken for grinding the masalas. Ghee is optional. 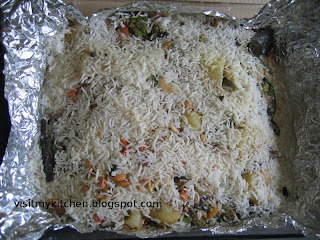 -Wash well and cook Rice along with Dal and veggies/peanuts till mushy. 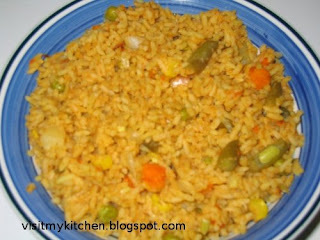 (Use minimum 1:5 Rice:water proportion. I used 1:6). Again as I mentioned, this could be made less mushy too. But I prefer it totally mushy. When u see the cooked mixture too watery, let it not cheat you, it will solidify too fast on litte boiling or when it gets cold. So have no fear. Fry in 1 sp oil and Grind the mentioned ingredients adding some water. 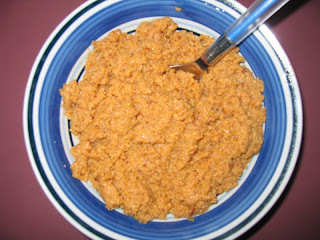 I have added tamarind pulp while grinding hence the color, else will be quite lighter. 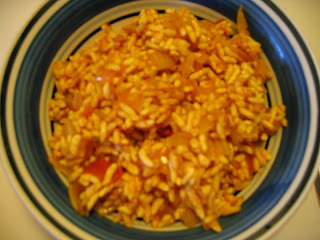 Once rice is cooked, add the ground mixture and Tamarind pulp (if not added already). Add salt. Boil for 5-7 few minutes till they blend well. Add ghee for extra flavour. 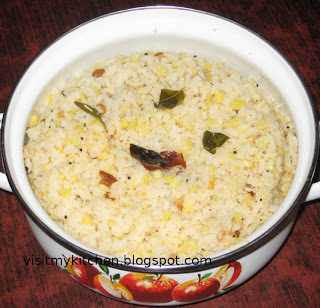 Serve hot with Bhoondi raitha. You can also use coconut oil while frying the masala ingredients and then grind the mixture, that way giving some added coconut taste. In little oil, temper the ingredients, add chopped onions and saute till translucent, add chopped tomatoes and close cook till done. (add little water if it sticks to bottom). Add cubed tomatoes and cover cook till done. Half way thru, add salt and other spices. In little butter/ghee/oil, saute the vegetables, add little water and cook closed. Once they are partly done, add masala powders,curd,salt, give a good mix. 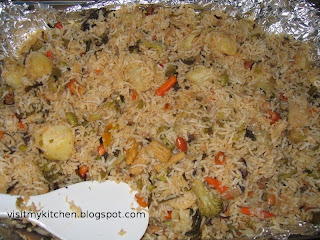 Add the whole mixture to rice, add enough water and cook till done. 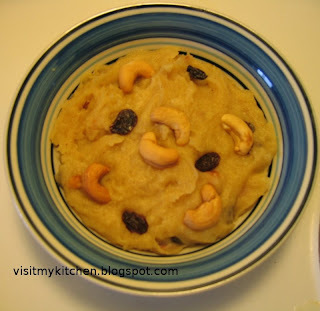 Beans Paruppusili or Beans with coconut curry or simple tempering with half boiled beans. But once I started making fry out of beans, I fell in love with it :) So if any of you are like me, you can give this a try once.. I really make it more spicy adding more chilli powder. It goes hand in hand with sambar. 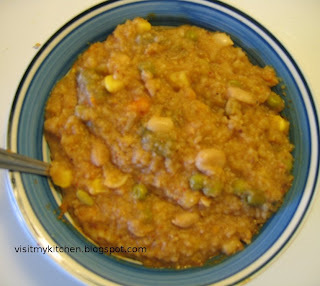 Take a wide tava, add beans, add 2 Tbsp of water and cook closed. 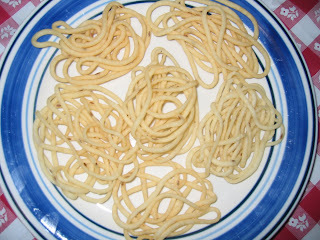 Once they are half cooked, add salt and add a spoon of oil and saute for couple of minutes. Leave tava open. Fry till fully done, add oil as required, finally add chilli powder/sambar powder, saute for couple of minutes. 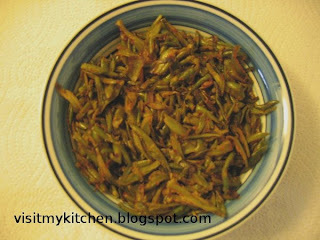 Serve hot with rice or as side dish. Not few, there are loooooot of fans for my mom's onion chutney :) Now I am posting this as my friend Madhavi requested the recipe. This is undoubtedly my favourite of all chutneys that mom makes. 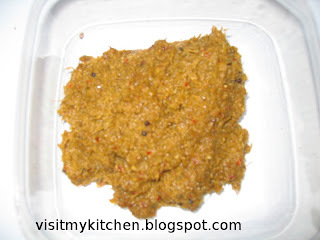 This can more so be called "Thokku" as its preparation resembles that of 'Thokku' and also this is more spicy unlike usual chutneys and it goes good with rice too. 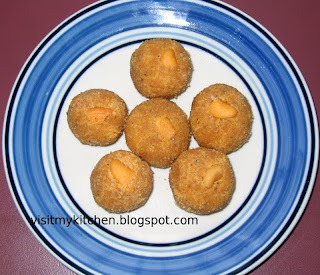 Jaggery - a small gooseberry size. In little oil, fry the onions for about 5 minutes, add red chillies and fry couple of minutes. Grind this finely adding salt . 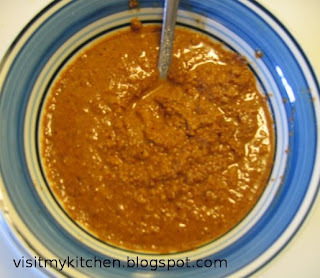 In a hot tava, add 2 spoons of oil, temper mustard and add the grouded paste, red chilli powder and saute. The grounded mixture is to be sauted for about 15 mins minimum, trick and taste to this recipe is being linenant in oil and sauteing for long time, so dont be stingy if you need the taste, add some more oil and keep sauteing until the chutney turns bright brown in color. Finally add little jaggery, saute couple of minutes, switch off. This frying is what gives a great taste to the chutney. 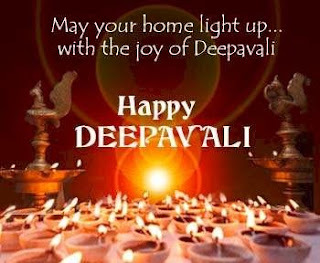 Enjoy with any kind of tiffin or with hot rice. Heat a tava. Once very hot, fry the raw rice couple of minutes till the color changes. Switch off and just add the moong dal onto the rice. Set aside. Temper the mentioned ingredients and add to boiling water. Now add the Rice and dal to the boiling water, add salt, cook closed till done. This is an absolute healthy dish jam packed with nutrition :) with no oil no butter..
Wash very well and cut broccoli to florets. 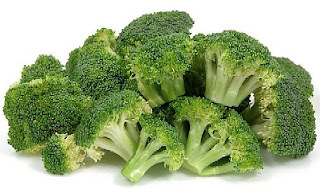 Boil enough water (to cook the broccoli) very well, adding a pinch of salt. Add broccoli florets, chopped onion, chopped garlic and let the whole mixture boil. 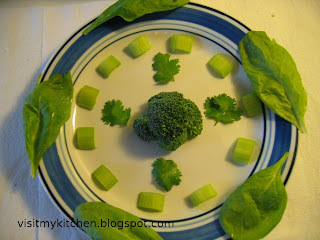 Once broccoli is well cooked, add it to blender and blend it to fine paste. Add a spoon of pepper, pinch of basil,oregano (or any herbs ) and serve hot. 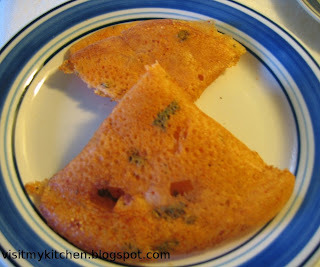 ** Can add a dash of butter/ghee to add flavour.